Cnidopus japonicus is a very common species in North West Pacific, from Aleutian Islands to Kamchatka and to Japan. It always lives on exposed surfaces of stones or rock, newer buried in sand, never attach gravel or other particles to itself. 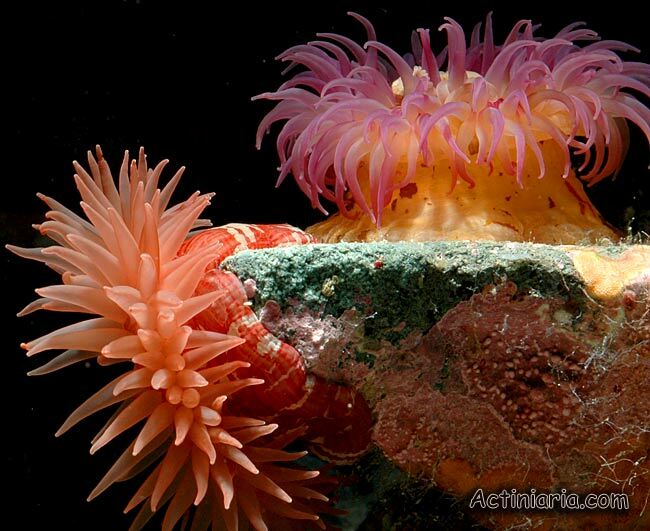 Body may be smooth or with nonadhesive tubercles, sometimes with young anemones attached to column (see photo below). Coloration is extremely variable: red, yellow, green, etc. often mounted in various combinations. Cnidopus resembles another actiniid genus, Epiactis. Cnidopus, however, has special structures - numerous crowded, often rectangular vesicles arranged in several rows on the lowest portion of column (they are visible on the photos) and containing extremely numerous nematocysts (striking capsules) of a special sort. This feature distinguishes Cnidopus from all actiniid genera. Some specimens of Cnidopus japonicus may have special fighting tentacles (also called catch tentacles) - see photo below. Fighting tentacles are longer than the typical tentacles, they are often coiled, but the main feature of fighting tentacles is special set of nematocyst. 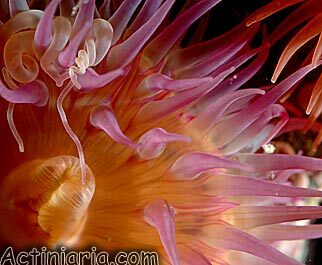 Catch tentacles are very rare in actiniid anemones (they are common in another group of sea anemones, in Acontiaria). 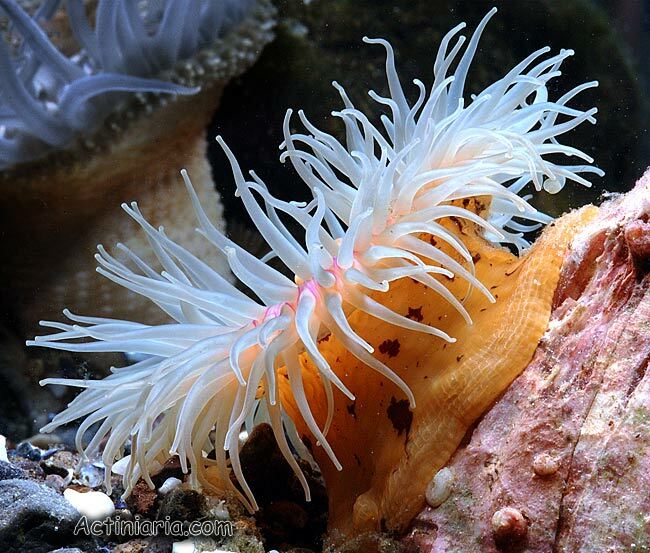 The only other species of actiniid anemone that may develop fighting tentacles is Oulactis concinnata. The existing records of catch tentacles in another actiniid genus Urticina are erroneous. 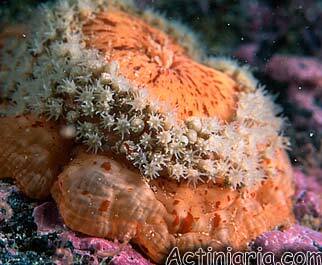 Other common North West Pacific sea anemones: Urticina, Cribrinopsis.